The Bokks box from kommod is the optimal accessory for the Miniloadah and Loadah storage ladders. 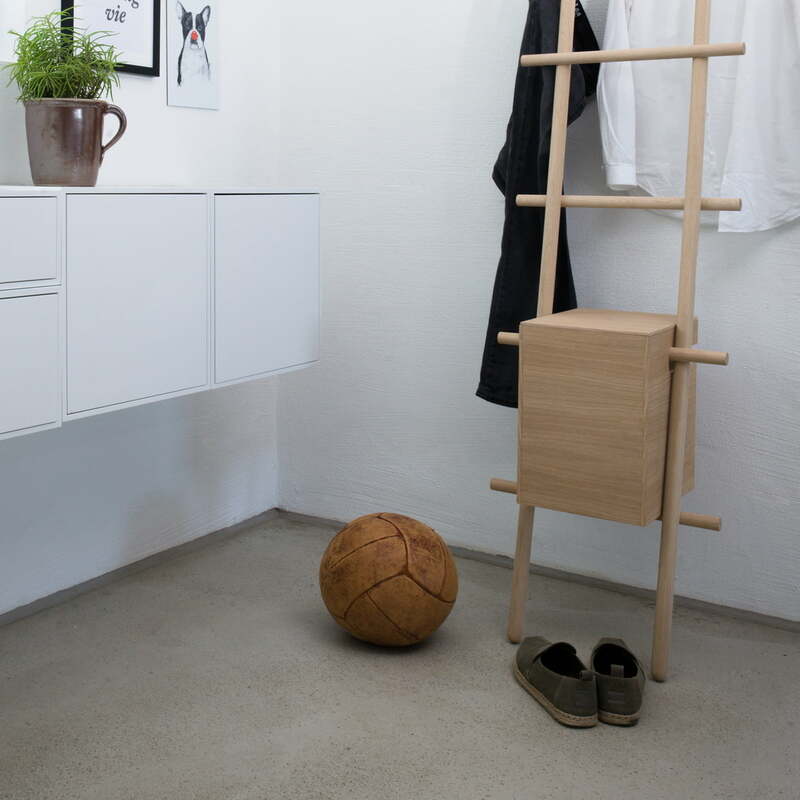 Thanks to the box, the ladder can be turned into a hallstand, coat rack, silent valet or shelf. Towels, jackets, scarves and much more can be hung up and stored in the Bokks box. 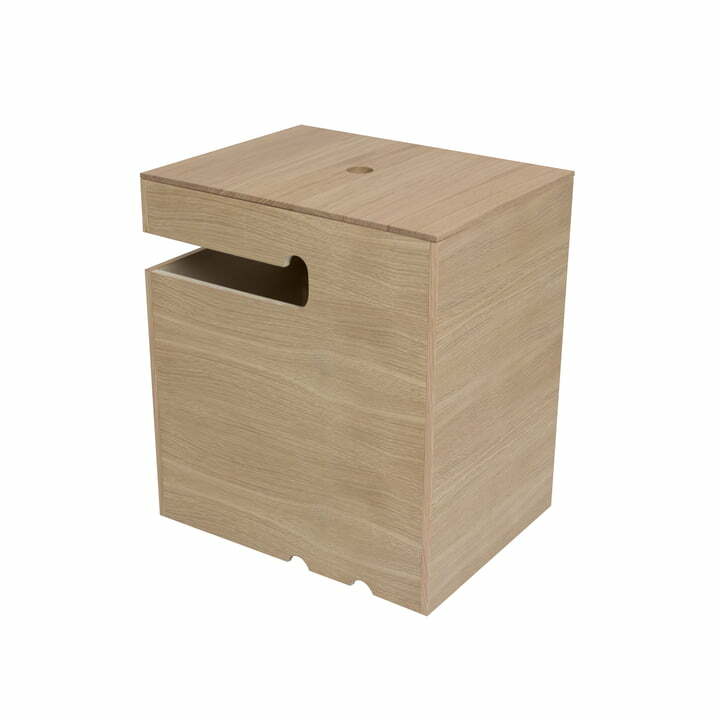 Like all of the other kommod products, the Bokks box is made in a sustainable way in the Bavarian Forest. Thanks to the slot and the cut-outs, the box can be inserted easily and without tools into the ladder and locks securely into the upper and lower rungs. Objects in the bathroom, corridor and bedroom can now be discreetly stowed away in the box featuring a lid.